On one of my recent Goodwill shopping trips, I was out looking for a mirror for my upstairs hallway landing. I wanted a mirror with detail but could not find one to my liking. 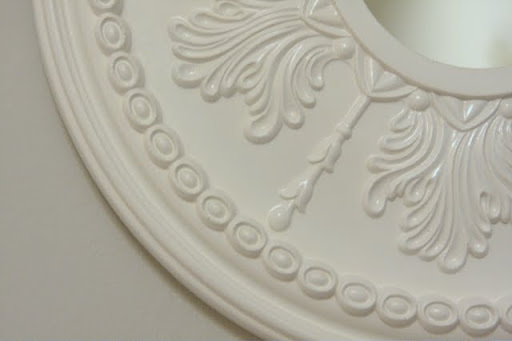 I browsed through a few more aisles, and I came across a Ceiling Medallion. 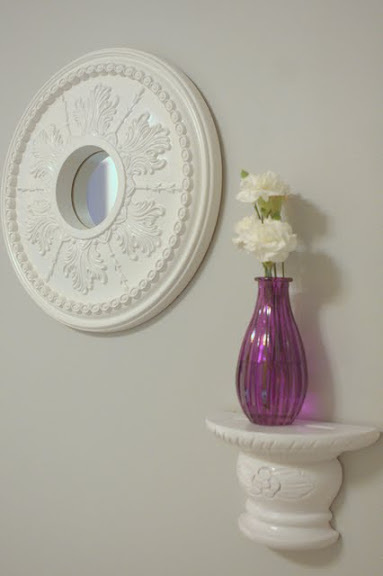 It had beautiful details and I thought I could use it to make my own mirror. 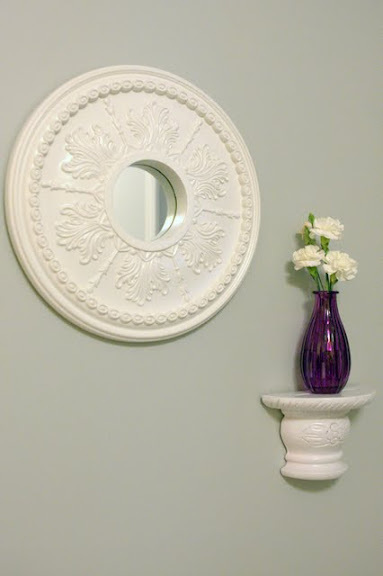 Circle mirrors are easy to find at any craft store but then I remembered a mirror that was broken and sitting in my garage. Perfect! This mirror has been sitting in my garage for some time. A moving mishap that I was not sure how to dispose of. 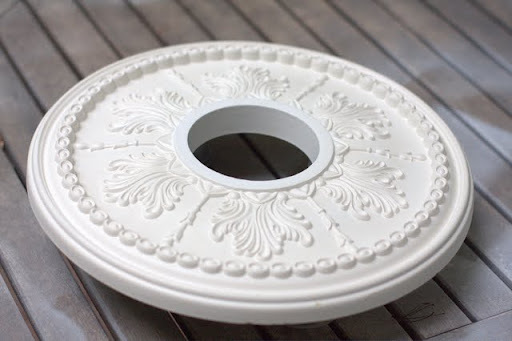 The ceiling medallion was a whopping $3.93 and in perfect condition. I did add a coat of white gloss spray paint to add some shine. 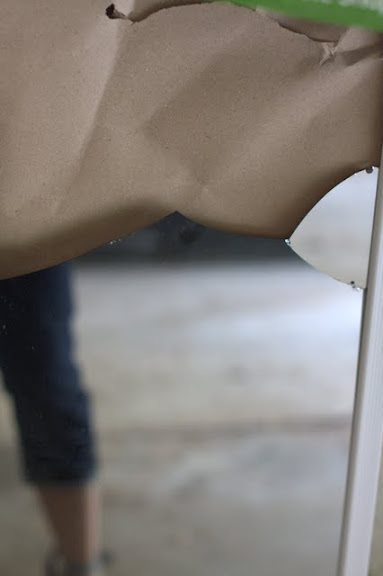 I used a hammer and placed a towel over the large mirror to break it into smaller pieces. 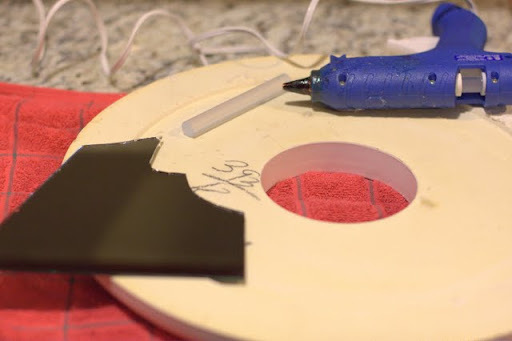 When I had a piece that was the right size, I used hot glue to set it in place. 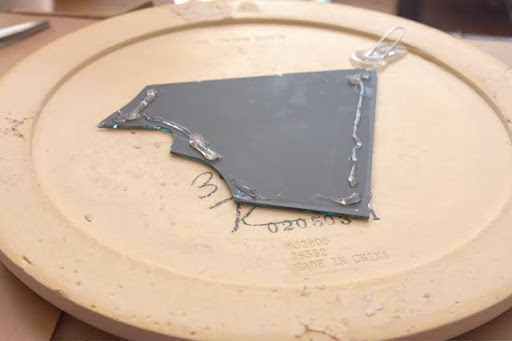 Now I will admit, I added the glue to the back side of the mirror. Mistake! 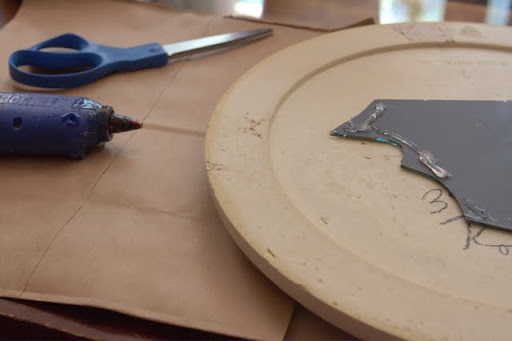 The glue needs to sit on the mirror so when you place it on the medallion, the mirror shines through and not the backing. I didn’t have a picture hanger so I used my standby. 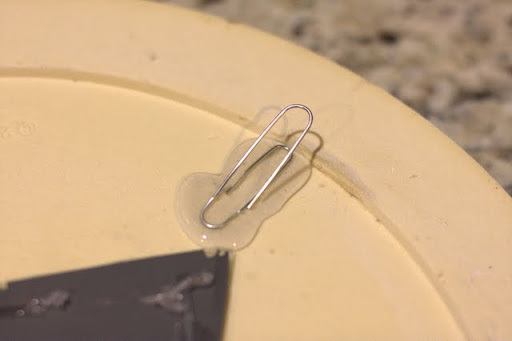 A large paper clip! I applied it with hot glue, and it does hold very well! This is what the back looked like. A hot mess. You can see here where I added the hot glue onto the wrong side of the mirror on the first try. Even though the mirror will be hanging up and you will never see the back, I wanted to cover it up that mess. 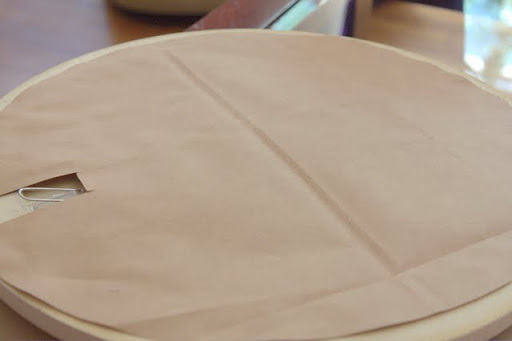 I took a large brown shopping bag and used the medallion as a template to cut a circle to place over the mess. So much better! I added a bead of hot glue underneath the circle to hold it in place. Here it is! All done and looking real pretty! I love the details and the light sheen from the gloss paint. This is the view from my bedroom. Love. It’s just what I wanted for the space.